Murrieta Police arrested a man on charges of auto theft, possession of narcotics and probation violations following a traffic stop, authorities said. 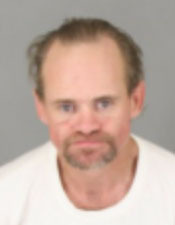 Jamey Johnson, 41, of Anaheim was stopped by police at 12:26 a.m. Saturday in the 40900 block of California Oak Road, according to a news release. A records check showed that the license plate on the truck he was driving had been reported stolen in April in Lake Elsinore. Johnson was found to have an outstanding felony warrant for narcotics and possession of stolen vehicles. He was also found to be on mandatory supervision probation for narcotics charges. In addition, a check of the truck's VIN showed it had been reported stolen the previous day in Temecula. A search of the truck revealed tools frequently used to commit burglary, methamphetamine and marijuana, packaging for narcotics and narcotics paraphernalia. Johnson was booked into the Southwest Detention Center.